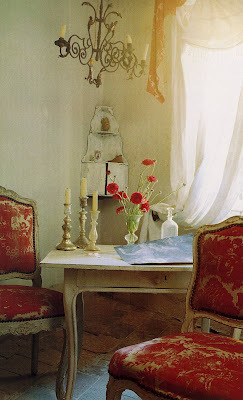 When I'm feeling uninspired and as if creativity has flown the coop ..... I go hang out at the art museum or cruise galleries. 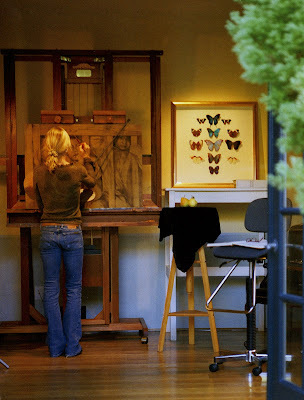 Montecito artist Carin Gerard is a source for inspiration. 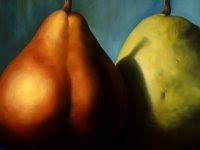 Her still life paintings are sensual and classic. 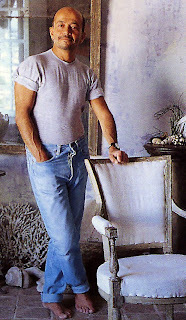 It is Friday and I'm wondering what I'll make for dinner tonight. Tapas are always a hit at my house. 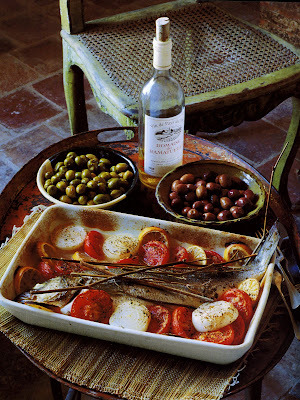 Several small plates of Mediterranean goodies and a nice bottle of Albarino will hit the spot. 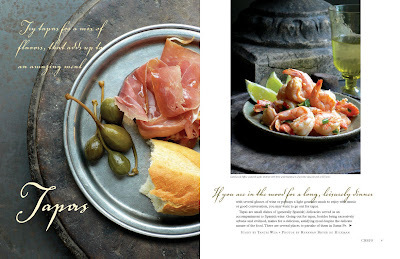 I photographed these tapas dishes for a cookbook several years ago - and keep them around for inspiration. 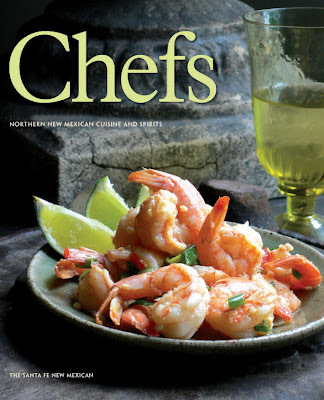 The shrimp is easy - just peeled shrimp sauteed with butter, garlic, red chile pepper flakes and chopped green onion. keep it light and make for a quick easy meal. 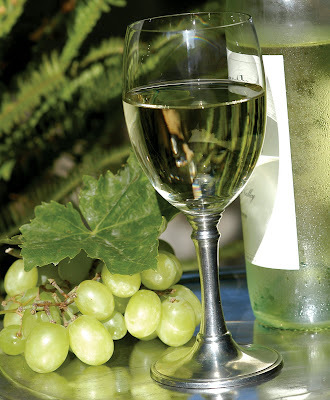 Albarino is the most popular white wine in Spain. Grown in the Rias Baizas region, it is an elegant, crisp, dry and aromatic wine. One of my favorites is Martin Codax. An inexpensive vintage that lends itself well to seafood. 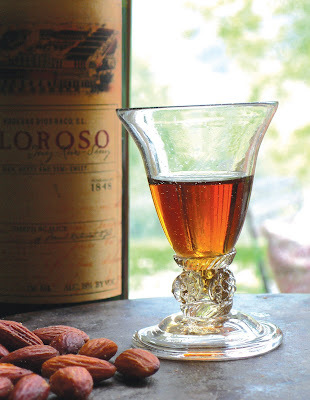 Finish with Oloroso Sherry and toasted almonds and maybe a few figs with goat cheese and raspberries. This last weekend we went to Haak Winery ~ a winery/vineyard along the Gulf Coast of Texas. 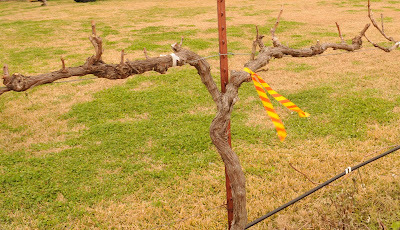 Fritz Westover - the Viticultural Extension Associate for the Gulf Coast Region was giving a demonstration on how to correctly prune grape vines. Around 50 people showed up to watch his demonstration and help prune the vineyard. Everyone was allowed to take home as many cuttings as they wanted . I was pretty surprised that Haak Winery would allow complete strangers in to prune their vineyard - and was relieved to hear that we would only be cutting off the vines above the second wire. The Haak Vineyard crew would come in and do the final pruning. 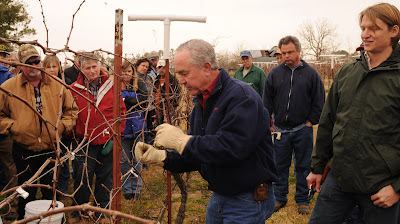 Fritz's demonstration was clear and concise - he took us through all the different problems that we might encounter while pruning ~ every vine is different and there was some hurricane damage from Ike. After the demonstration we were turned loose in the vineyard. Fifty or so people can make short work of rough pruning a small vineyard and before long we were finished ~ just in time to enjoy some of the best fried oysters I've ever tasted and some very fine wine! Jim's Blog Entry: Saturday's trip to Haak vineyards was time well spent. 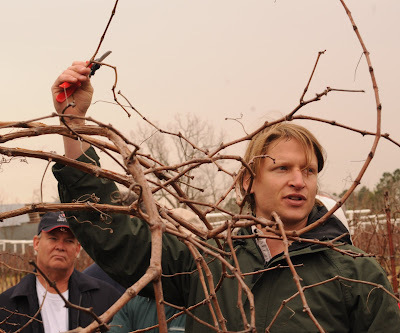 We received valuable instruction on the art of pruning from owner Raymond Haak and from Fritz, the enthusiastic ag agent for viticulture - prune your spur down close to the cordon, two buds each spur, five buds per foot, fifteen per cordon. Check for direction of growth, check for the health of the spur. Look for the green, look for the juice. Keep your steel sharp, keep it oiled. Winery/Vineyard owner Raymond Haak and Fritz Westover discuss some of the problem areas that were seen in the vineyard this year. 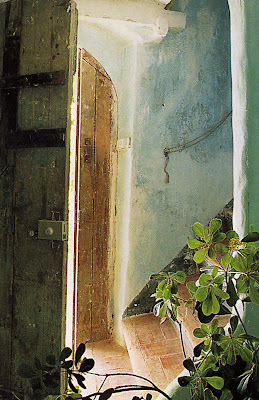 For Haak "Each vine is a chapter in a book." 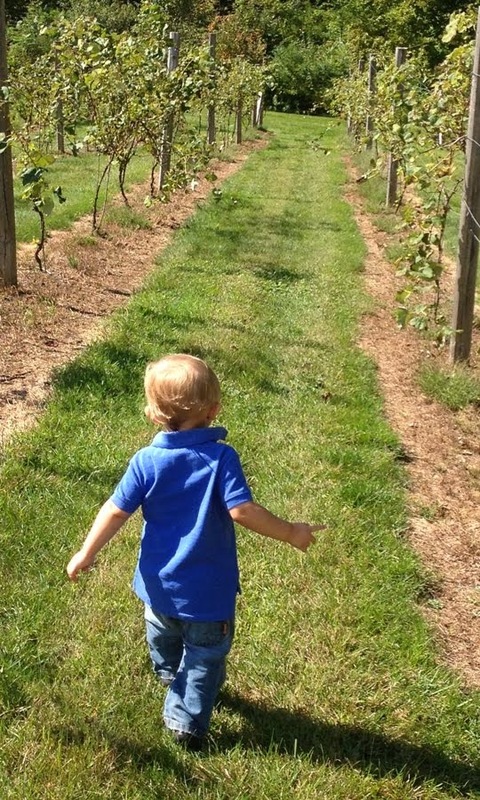 Like most vineyard owners he frets over each one. These Blanc du Bois vines are around thirteen years old. 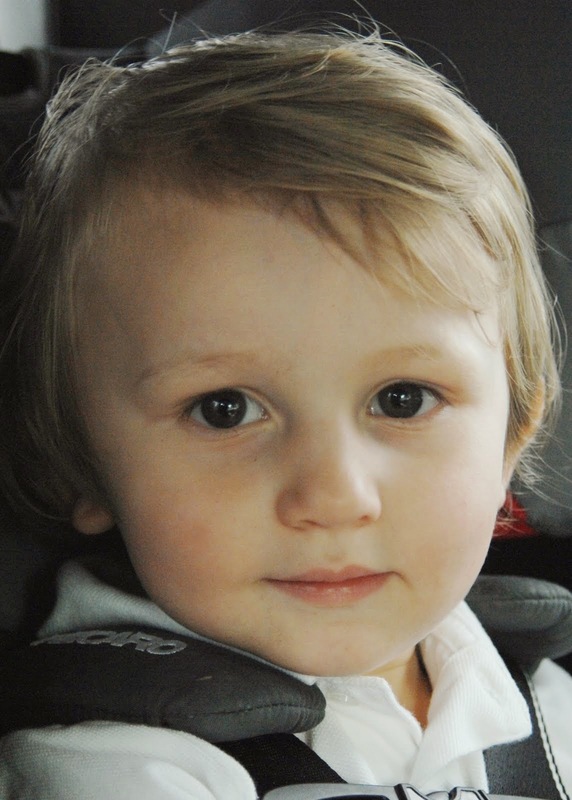 Lazar was one of the participants. This is his second year attending pruning day at the winery. Last year he took home 300 hundred cuttings - 204 of which are alive and well. Growing vines from cuttings takes a while longer and the success rate is lower then buying grafted vines - but hey - they were free! Originally from Romania, Lazar gave me some interesting information on Romanian wines. Cheers! 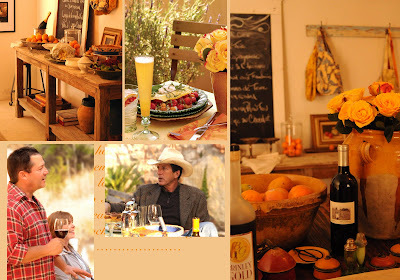 "Fritz Westover has been working in the viticulture industry since 1999. He began as a vineyard worker for the Chaddsford Winery in southeastern Pennsylvania, while obtaining his BS in horticulture from Penn State University. Fritz completed his MS in plant pathology in 2003 from the Penn State Department of Plant Pathology while assisting with grapevine decline research in Pennsylvania and New York vineyards. 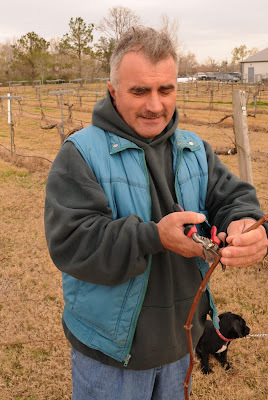 His research involved various projects concerning biological causes of grapevine decline in replanted vineyards, grape disease management, and the use of compost in vineyards. 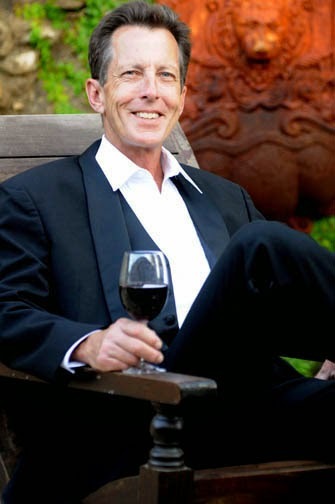 Fritz has worked internationally as an assistant winemaker for the 2004 harvest at Caiaross Vineyards and winery in Pisa, Italy. 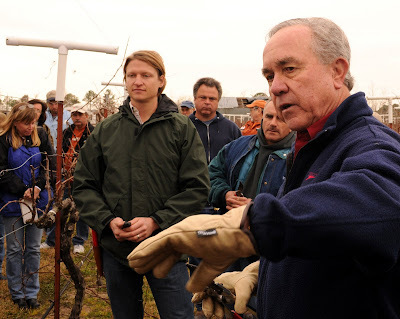 From 2005 to 2007, Fritz served as Virginia Techs viticulture Research extension Associate at the Alson H. Smith Agricultural Research and Extension center in Winchester, Virginia. 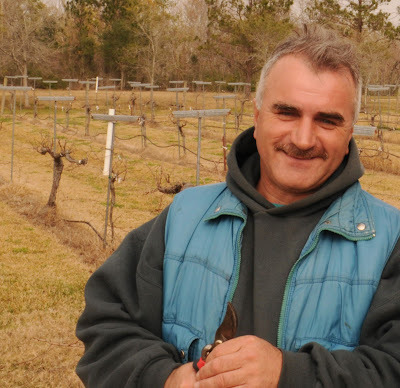 He is currently working with the Texas Agri-Life extension Service as Viticulture Extension Associate for the Gulf Coast." 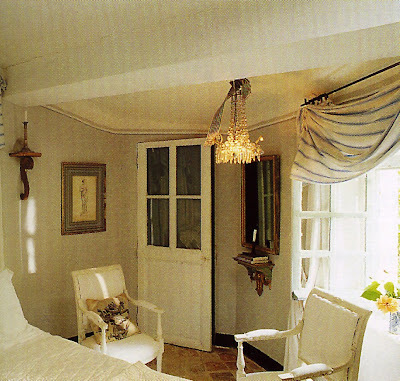 I've been working on the plaster finishes at Casa Sotto Il Monte. Some of the floors have been plastered (yes ~ the floors) and soon I'll be moving on to the walls. 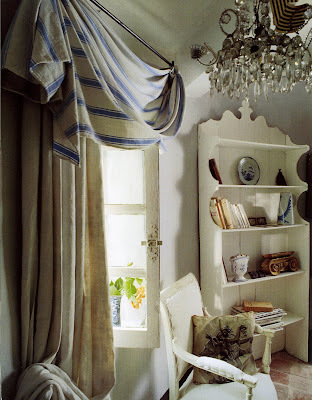 To get ideas and inspiration I've been pouring over photos of Mediterranean Interior Design. 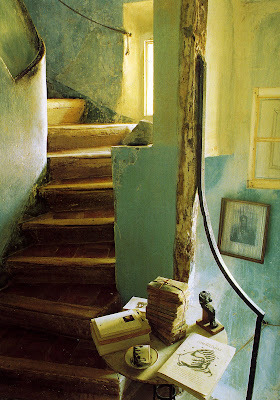 One of my favorites ~ Frederic Mechiche's house in Hyeres on the Cote d'Azur. 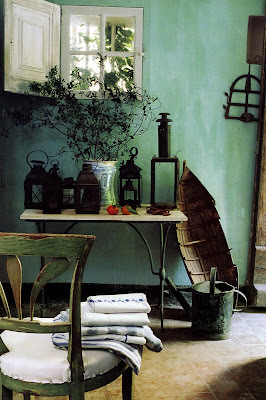 He has reworked a fourteenth-century fisherman's cottage, preserved the patina and added his own flair. 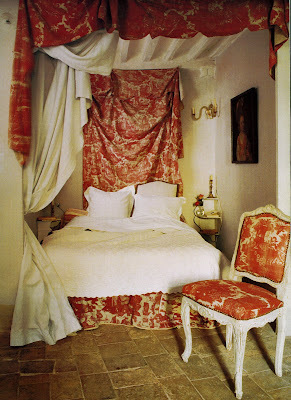 In his favor the irregular walls, original plasterwork and ancient floors had not been modernized. Looks as if he has done a pretty fair job of keeping the patina intact. 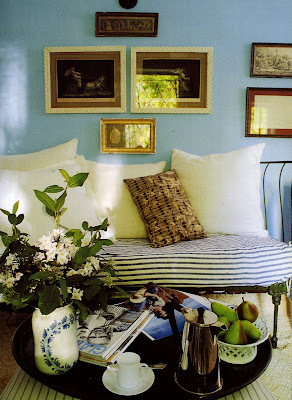 He applied lime washes on some of the walls to add color. 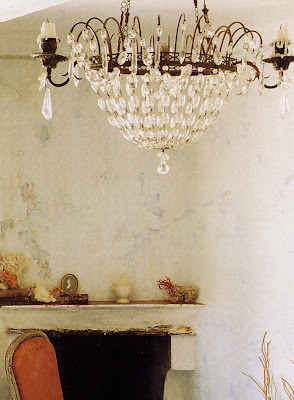 The chandelier in the salon is Gustavien. Right after the first of the year I become antsy for the garden to spring to life. The grape vines are still dormant but I cluck around them anyway. 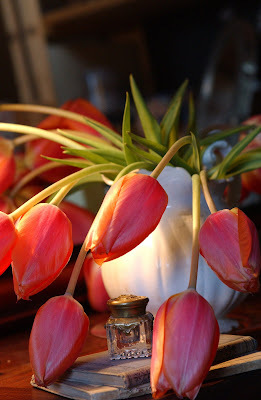 I'm always thankful for the tulips and other early bulbs that come up this time of year in my microclimate. 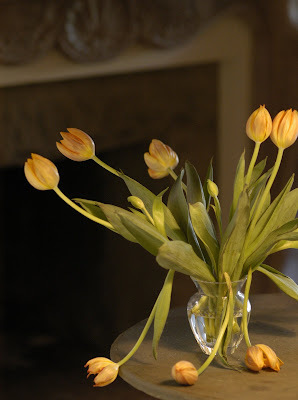 Color for the garden - cut flowers for the house. 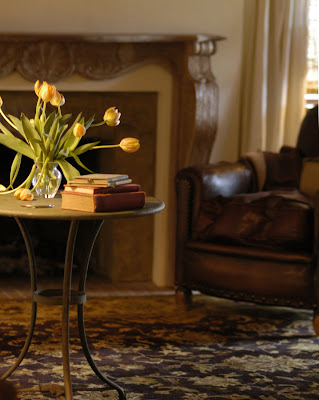 I'm missing Mexico ........ when my husband and I lived in Santa Fe, New Mexico we usually spent as much time as we could during January/February in Old Mexico. 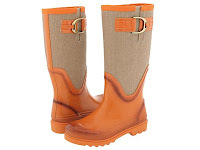 Now that we live in a more temperate climate (One residence in a Mediterranean climate the other coastal) we don't feel the same need to slip off to the hot tropics. The political climate has worsened over the last few years as well ...... in the past we would load up the suv and head down through Tucson and drive all over Mexico. Not now - hope it gets better soon. 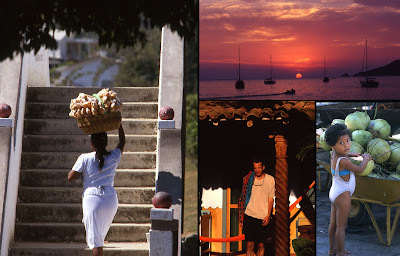 The above photos were taken in Zihuatanejo - one of our favorite destinations. 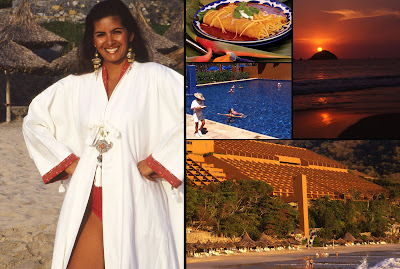 We usually stay the first few days at the Las Brisas in Ixtapa. A stunning resort hotel designed by Ricardo Legoretta (photos below) and then hot foot it over to Zihu to stay at Casa Luna in a quaint little cabana ( that's my husband in front of the cabana ) with a small kitchen and an outdoor shower - all in a lovely garden setting. Having a kitchen is great because we love shopping the mercado for fruits and vegtables then heading down to the village beach to buy fish from the local fishermen. I photographed this beautiful model on the beach in front of Las Brisas for a fashion spread. The gorgeous caftan she is wearing is white linen adorned with semi-precious stones, silver beads and tassels from designer Toni Hnasko for Neiman Marcus. Love it - too bad the photographer doesn't get to keep the clothes! And so ............. the holidays are over. December was a whirlwind - the first 10 days were spent on a road trip with my dearest friend (More on that later). Upon my return the holidays came rushing at me like a train. I stepped off the tracks and avoided most of it. Didn't decorate, baked a few things - and headed back to Sotto Il Monte to spend Christmas with friends and fellow wine lovers from New Mexico. 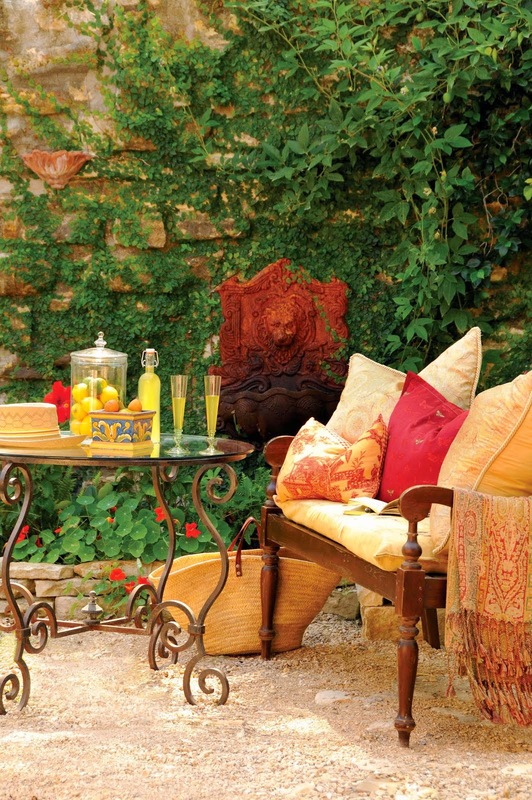 We were blessed with beautiful weather and able to have Christmas brunch al fresco in the courtyard. We started off with Bellinis - Prosecco infused with white peach juice to accompany the salad of baby greens, raspberries, pomegranate seeds, almonds and goat cheese.... topped off with a balsamic vinaigrette. For brunch ........ Spiral sliced honey glazed ham from Apple Lane Farms, cranberry compote made with port and Texas oranges, potatoes Au gratin and asparagus with lemon & hollandaise sauce. And the vino ........ It was a special day - so I opened a special wine. 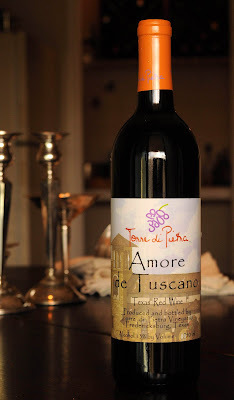 Amore de Tuscano from my favorite Texas winery ..... Torre di Pietra ...... TexasHillCountryWine.com. Amore is a Sangiovese and Syrah blend with dark chocolate and black cherries on the front and creamy oak on the finish. Ooooh la la! Franco brought a bottle of Brinley Gold Vanilla Rum - Thick rich rum with more than a hint of vanilla. 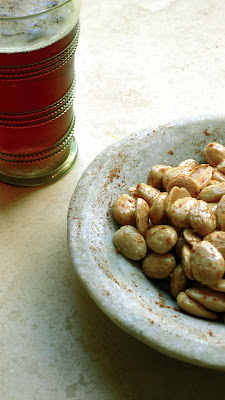 A perfect pairing for the pecan tarts, pumpkin pie and coffee ...... decadent. 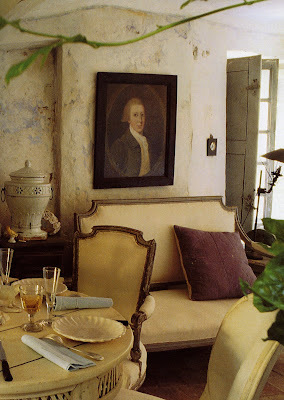 New Year's was spent back at the Pied a Terre . Jim made the omelets - I made the mimosas! Brunch out on the terrace watching the egrets and herons swoop over the water. Happy New Year! "Go in search of grace" ........ Photographer Keith Carter said that to me and a room full of other photographers in San Miquel de Allende, Mexico....... I've thought about his words many times and try to not only keep grace in my images ..... but also in my life. That afternoon I photographed a young woman taking her elderly grandmother for a walk in the park. Patient and attentive ... the young woman held onto her grandmothers elbow - to catch her if she missed a step. I photographed the older woman's hands. Long slender fingers - full of grace. 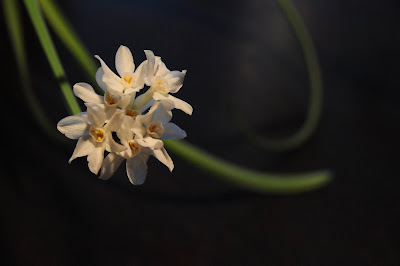 The last of the Paper Whites drifts down to the table top - graceful to the end - the holiday season over.